The Iowa Supreme Court has upheld a ruling that throws out speeding tickets issued by state motor vehicle officers. Two drivers who were traveling on Interstate 35 in Warren County were given speeding tickets by Motor Vehicle Enforcement officers in separate traffic stops in September of 2016. Both appealed the tickets saying the motor vehicle officers lacked the authority to issue the tickets. The two cases were combined and the district court ruled in their favor. 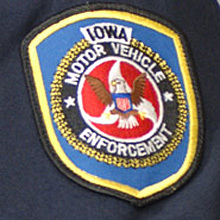 The Iowa Supreme Court says the motor vehicle officers have limited authority to enforce violations to the operation, registration, size, weight, and load of motor vehicles and trailers — but are not allowed to write speeding tickets. The Iowa Legislature updated the law in 2017, but the ruling will still impact thousands of tickets issued before the change.